The Book is the true culmination of the first biennial Vera List Center Prize for Art and Politics cycle. Conceived as an affordable guide to the vibrant field of politically engaged art practices, ‘Entry Points’ is divided into two sections. The first provides a global map of the field where art and social justice intersect, highlighting the twenty-two international projects that were the semi-finalists for the prize. Curator/ art critic and current director of ACSL Susanna Gyulamiryan and artist Karen Andreassian are among the semi-finalists for the prize with artistic and textual contribution of the project ‘Ontological Walkscapes’. 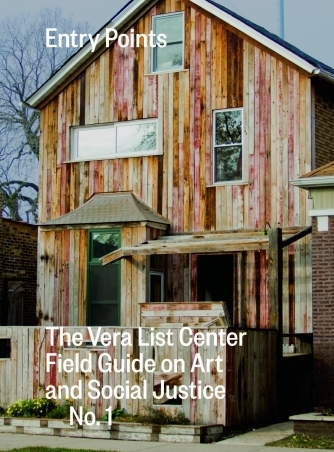 The second part is dedicated to Theaster Gates’ Dorchester Projects, for which he received the inaugural Verla List Center Prize. The book is the perfect reader for students, theorists, scholars, art professionals and the public interested in art, urbanism, aesthetics, human rights, and social justice. The book can be ordered through the Duke University Press website (www.dukeupress.edu/entry-points).